This blog is part two of my three-part blog series on things to do and see in Egypt for the solo traveler. 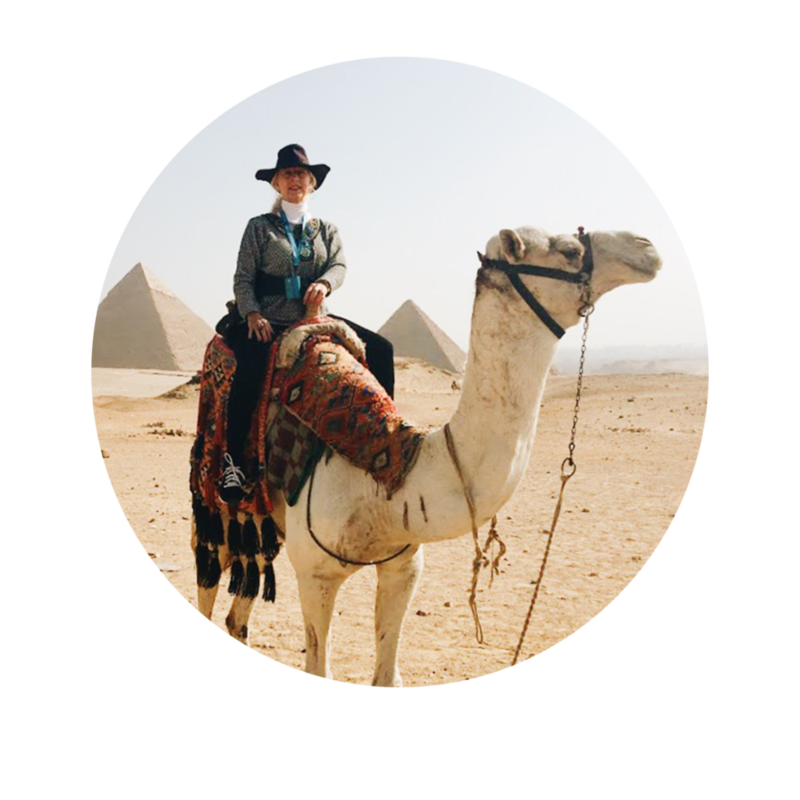 Egypt is, without a doubt, the most fascinating travel destination I’ve ever been to, which is why I felt I should cover it in depth. In my previous blog post, I recapped 5 of my favorite activities and places to see in Egypt, the following are 5 more recommended things to do and see in Egypt for the solo traveler. Though not as impressive as Karnak, the Temple of Luxor is definitely a must see destination. Unlike Karnak, the Luxor Temple complex was not dedicated to a cult god, rather it was a place where the rejuvenation of kingship--where the kings were crowned-- took place. Only three kings, Amenhotep III, Tutankhamun and Rameses II built most of Luxor’s impressive structures while the Karnak structures were built by many pharaohs. The Temple of Luxor was constructed out of sandstone and has remained a continuous place of worship until present day. Two classic entrance pylons and a grand hypostyle hall with open papyrus flower columns majestically greet visitors. At the end of the religious complex is a sacred area with an inner sanctuary, the place of the “holy of holies,” plus a birthing house which was accessible only to royalty and the high priests at the time. Two interesting facts about the Temple of Luxor are a part of it’s hypostyle hall was converted into a Christian church and later the Sufi Shaykh Yusuf Abu-al Hajjaj mosque was built on top of a section of the Rameses II’s courtyard. The mosque is still used today. I visited the Temple of Luxor at dusk and was able to linger there for an hour after dark, which I highly recommend. The fading of natural light to the artificial spotlights gives the visitor a dramatic presentation of this complex, and the Avenue of the Sphinxes which is especially beautiful when all lit up. There’s something about sailing that always relaxes and soothes me. As part of the Uniworld cruise, we were treated to an afternoon sail down the Nile in a traditional Egyptian felucca. It was a perfect day for sailing with a cool steady breeze and clear blue skies. For several hours we bird watched and were shown the key sites along the Nile near Aswan by our guide. It was a lovely experience. The halfway destination on our Nile felucca sail was the historic Old Cataract Hotel in Aswan. Built in 1899 by Thomas Cook, this British Colonial-era five star hotel has housed many famous guests to include Winston Churchill, Princess Diana, Queen Noor, Tsar Nicholas II and President Jimmy Carter to name a few. The hotel reached its peak when the movie Death on the Nile was filmed there based on the bestselling novel written by Agatha Christie while she was a resident at the hotel. My heart started to beat faster as I approached the hotel because I love visiting special places. On the agenda for the stop was to have high tea on the veranda overlooking the Nile, watch the sunset and end with a hotel tour. This two hour excursion was utterly delightful! The historic hotel was exquisite with it’s picturesque setting and rich English colonial interiors. As we boarded the felucca for our return ride back to the cruise riverboat, I vowed to return here one day for a week long getaway. If you like well-maintained, historic luxury hotels in exotic places, the Old Cataract Hotel will not disappoint. Sobek, the Ancient Egyptian Crocodile god, represented pharaonic power, fertility and military might, and was credited with protecting the Nile River. During the Egyptian Ptolemaic and Roman periods Kom Ombo Temple, known as the “house of Sobek,” was a cult center for the crocodile god. This interesting temple complex is located thirty miles north of Aswan. Ancient Egyptians worshiped numerous animal gods and human-animal hybrid gods, but I must say, Sobek is one of the most exotic. Visiting Kom Ombo Temple was interesting, but seeing the mummified crocodiles was definitely on the weirder side. Our tour guide shared that the Nile crocodile was greatly feared and the Ancient Egyptians believed if they feared something it was better to bring it into the fold and make peace than let it be an enemy. Thus, the Sobek god was created. Once made a deity, it was then considered a protective god praised for its fierceness and ability to ward off evil. Crocodile statues, eggs, forty mummies and various other artifacts of this holy animal make quite a lasting impression never to be forgotten. One of the most delightful experiences of my Egyptian trip was the afternoon spent in a Nubian village. Before this visit I had known nothing about the Nubians and their culture. These Egyptians are believed to be the oldest black civilization in Africa and, quite possibly, the first human race on Earth. Their earliest recorded settlements were along the Nile River in Southern Egypt and Sudan. As our tour boat puttered down the Nile towards our destination, we saw several hilltop settlements painted in a unique periwinkle blue. Our guide explained these were Nubian villages which are typically painted this blueish purple color and ornamented with numerous vivid pastel colors that create their distinctive architecture. We were also told that because it rarely rains in this region, many of the Nubian houses don’t have roofs and have sand floors. At first I thought this particular activity wouldn’t be as fun as others we had done but I was proven wrong. Once we docked we walked up a slight hill through the colorful, peaceful village with many beautifully illustrated murals and scenes painted on the village structures’ exterior walls. We met our host and his family in the outdoor courtyard of his home, a place where many outdoor barbecues and visits by friends and family take place. As we entered the home we were shown the owner’s pet crocodile and told, “if you hold a crocodile you will have good luck.” I eagerly held the the sacred animal once I had been instructed on how to do so safely. We were told Nubians have crocodiles in their homes to ward off evil and bring them good fortune. Interestingly, Nubians keep the same Egyptian spiritual belief we had learned about at the Crocodile Museum. Ancient beliefs are still strong in this area! Next we were taken through a tour of the lovely appointed Nubian home and seated in the large family room where we all shared conversation and a cup of tea. Later, we were shown some beautiful ethnic Nubian straw baskets, jewelry and pottery which were for sale in the in house shop. What intrigued me the most about my visit to this village home was how happy the residents were. The simple contentment of their lives was compelling. I left the village thinking these people have a special culture, one that is deeply rooted in family ties, clean simple living and strongly held spiritual beliefs. I boarded the African river taxi with a happy heart! Before you move on to read the last installment of must see sights for the solo traveler in Egypt, enjoy this video by National Geographic to understand more about why Egypt is such a fascinating travel destination.